Kids promotional giveaways like these DIY piggy banks can be a lovely idea to promote your brand image. Both educational and fun, your customers will like these products because it will help their children to learn how to save money during their childhood, so that they become more responsible and autonomous. The egg shaped piggy bank above could be nice to offer for Easter marketing. Companies also care about the values they convey and with this item, your company will present itself as very familial and which have the sense of traditions, while knowing how to stay modern. In order to differentiate yourself from your competitors, it is important to direct your communication so as to mark the spirits and create surprises. 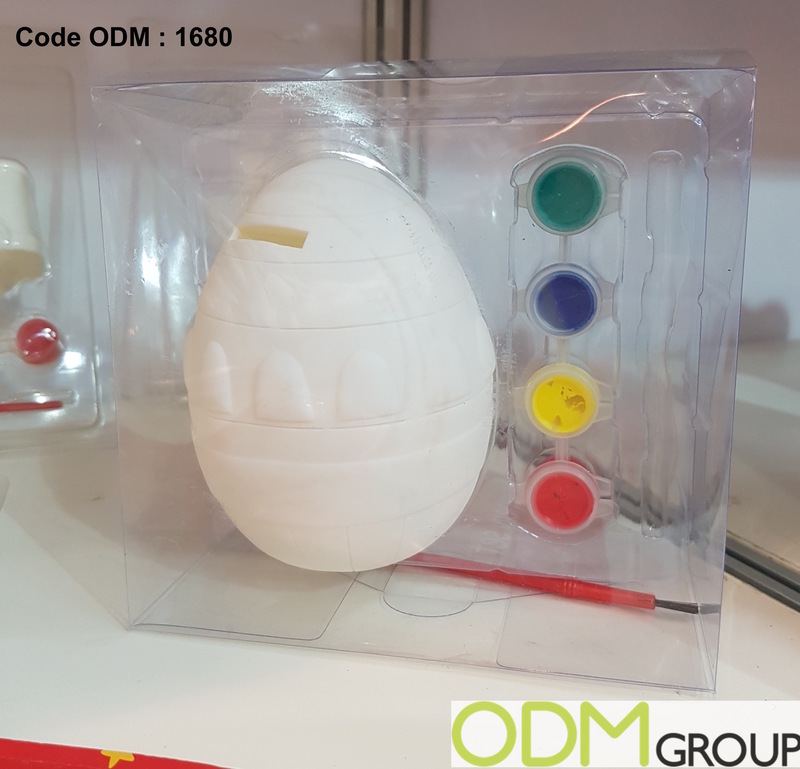 Your business partners and their children will appreciate the decorative gifts with your company brand visible. Why do we like these DIY piggy banks? Design appeal. A wide range of different sizes and shapes are available for these products. Regarding the colors, your clients’ children will have a lot of fun painting their own design on the the piggy banks. Paintings and products material are safe for children. Customer loyalty. Promotional products goal is to leave a sympathetic act and awakens a certain affection and loyalty to the customer. If they get free gifts from you, there are great chances that your clients prefer your company to others and you will therefore be competitive on the market. At ODM we have significant experience in product design, sourcing and manufacturing. We can help you with your marketing budgets effectively. Be sure to contact us if you are interested in finding out more information about piggy banks products.